Lax SSH security and management can lead to significant gaps in security controls. 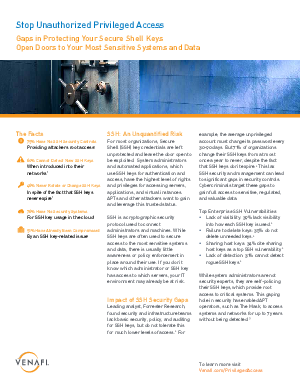 Cybercriminals target these gaps to gain full access to sensitive, regulated, and valuable systems and data. Fill out the form on the right to register for the solution brief.